He was the father of Carl Feynman and adoptive father of Michelle Feynman. He was the brother of Joan Feynman. ^ a b During Newton's lifetime, two calendars were in use in Europe: the Julian or 'Old Style' in Britain and parts of northern Europe (Protestant) and eastern Europe, and the Gregorian or 'New Style', in use in Roman Catholic Europe and elsewhere. 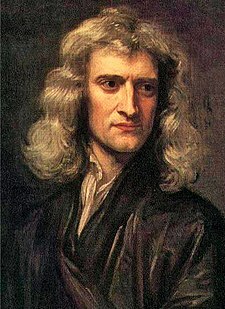 At Newton's birth, Gregorian dates were ten days ahead of Julian dates: thus Newton was born on Christmas Day, 25 December 1642 by the Julian calendar, but on 4 January 1643 by the Gregorian. By the time he died, the difference between the calendars had increased to eleven days. Moreover, prior to the adoption of the Gregorian calendar in the UK in 1752, the English new year began (for legal and some other civil purposes) on 25 March ('Lady Day', i.e. the feast of the Annunciation: sometimes called 'Annunciation Style') rather than on 1 January (sometimes called 'Circumcision Style'). Unless otherwise noted, the remainder of the dates in this article follow the Julian Calendar. ^ Westfall, Richard S. (1983) . "Never at Rest: A Biography of Isaac Newton. Cambridge: Cambridge University Press. pp. 530–1. ISBN 9780521274357. ^ Snobelen, Stephen D. (1999). “Isaac Newton, heretic: the strategies of a Nicodemite” (PDF). British Journal for the History of Science 32: 381–419. doi:10.1017/S0007087499003751. http://www.isaac-newton.org/heretic.pdf.